The Cisco SPA 303G is a 3-line entry level desk phone perfect for users in lobbies or cubicles. 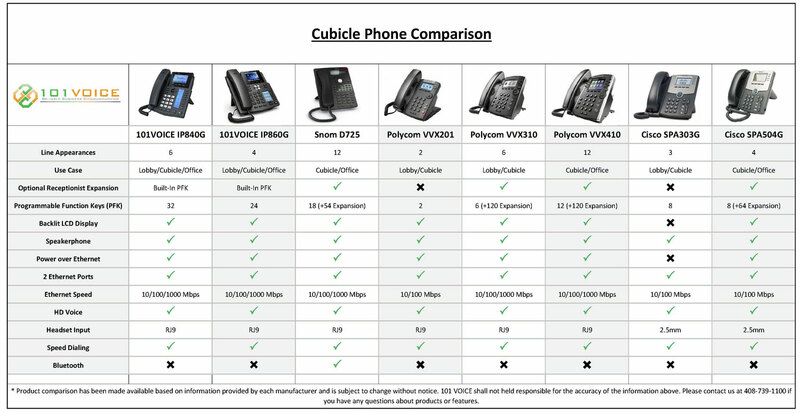 The Polycom VVX 201 is a 2-line desk phone perfect for everyday use in lobbies, low volume call centers or retail environments. The IP840G is a 6-line, enterprise desk phone perfect for everyday use in offices or cubicles. The IP860G is a high-end enterprise desk phone perfect for everyday use in offices or cubicles, with an intelligent Programmable Function. The Cisco SPA 504G is a 4-line entry level desk phone, ideal for users in cubicles or offices. The IP960G is a high-end enterprise desk phone perfect for cubicle, office or Manager-Executive with dual intelligent Programmable Function. 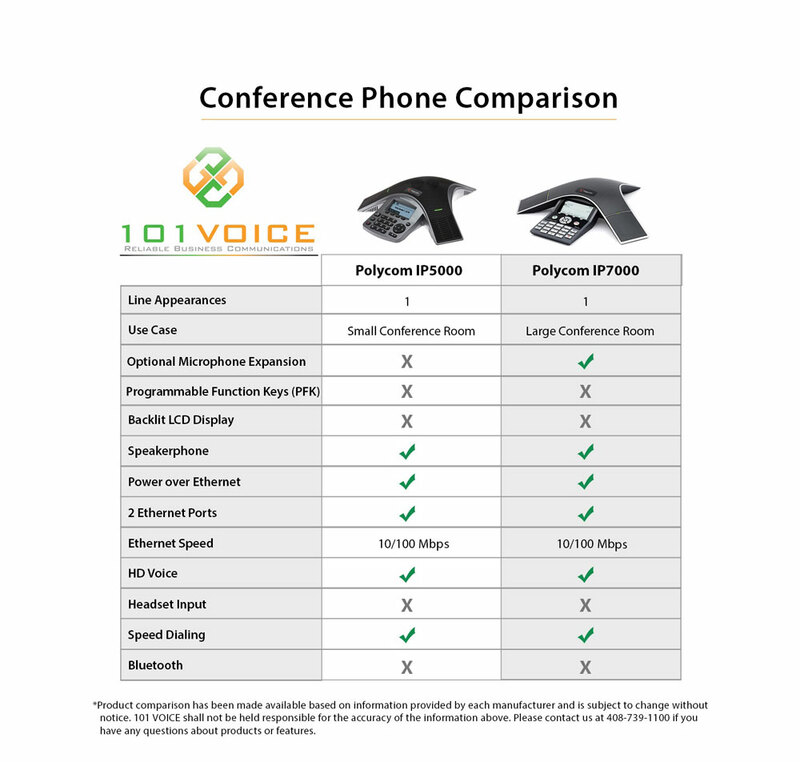 The Polycom VVX 310 is a 6-line desk phone excellent for everyday use in lobbies, low to medium volume call centers or retail environments. 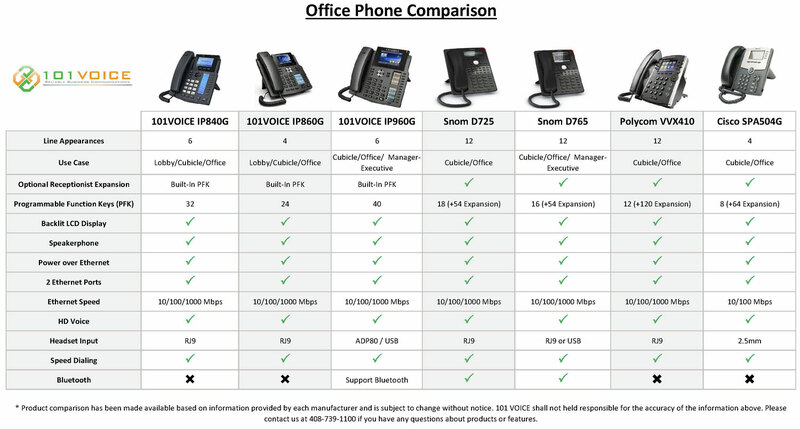 The Snom D725 is a 12-line desk phone ideal for high volume office users. The Snom D765 is a 12-line desk phone, great for high volume office users or the busy executive. The Polycom VVX 410 is a 12-line desk phone fit for high volume office users. The IP1000SG is a 6-line, smart video IP phone, perfect for the high-level manager or busy executive. 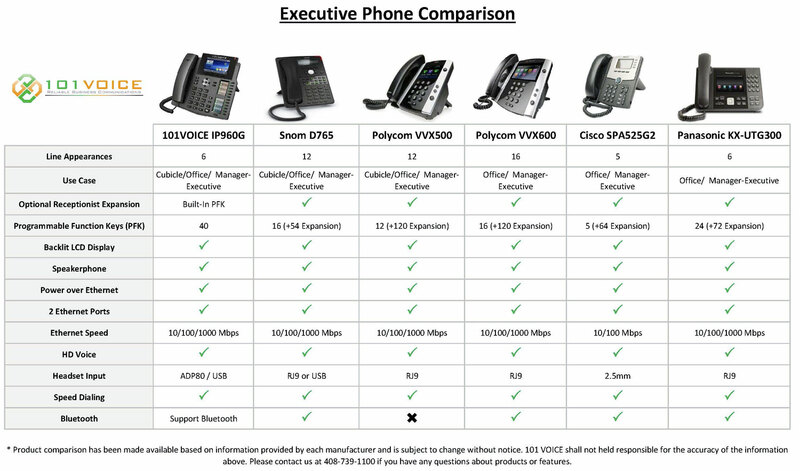 The Polycom VVX 500 is a high-end 12-line desk phone, ideal for the high-level manager or busy executive. The Cisco SPA 525G2 is a 5-line business and media desk phone, fit for office, management and executive users. The Panasonic KX-UTG300 is a 6-line desk phone, perfect for office, management or executive users. The Polycom VVX 600 is a high-end 16-line desk phone, perfect for the high-level manager or busy executive. The Panasonic KX-TGP600 is an 8-line cordless phone system, perfect for your office if you want a desk phone plus mobility. 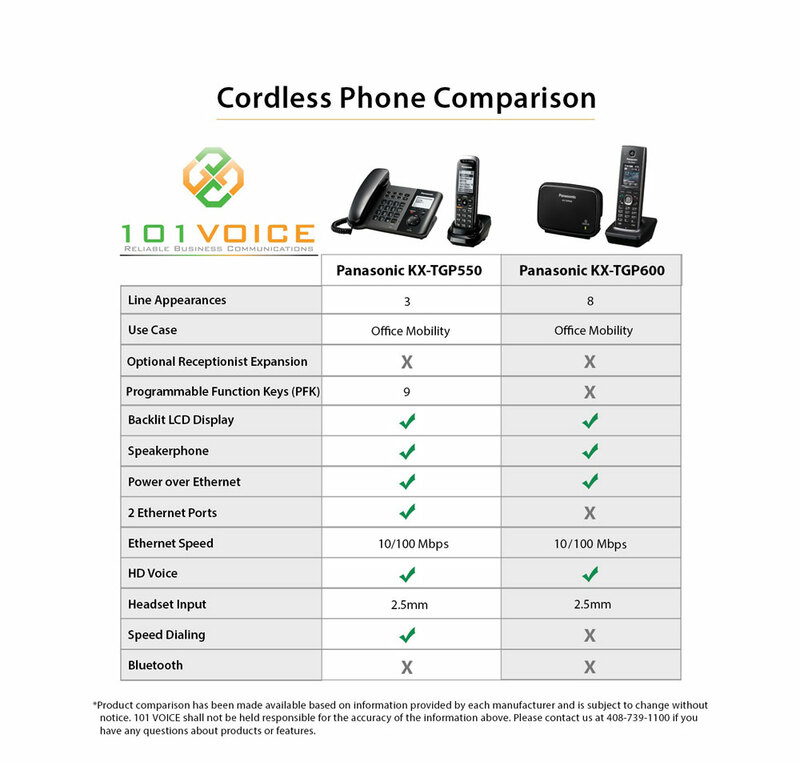 The Panasonic KX-TGP550 is a 3-line cordless phone system, ideal for office use if you want added mobility. The Polycom Soundstation IP 5000 is a 1-line conference phone, ideal for executive offices and small conference rooms. The Polycom Soundstation IP 7000 is a 1-line conference phone, perfect for boardrooms, large conference rooms, auditoriums and executive offices. The Cisco SPA112 is a 2-port phone adapter, great for when you want the benefits of VoIP without upgrading your existing analog phones. 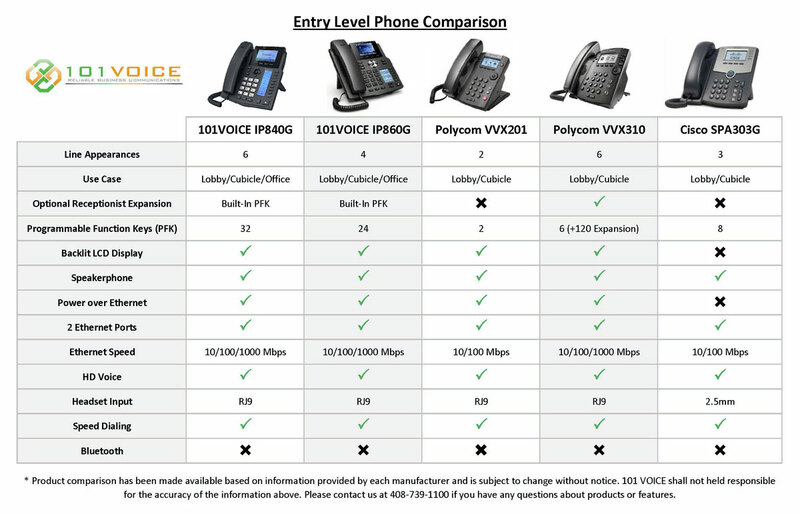 Please note: Pricing is only for existing or new 101VOICE customers. Phones are not sold separately.